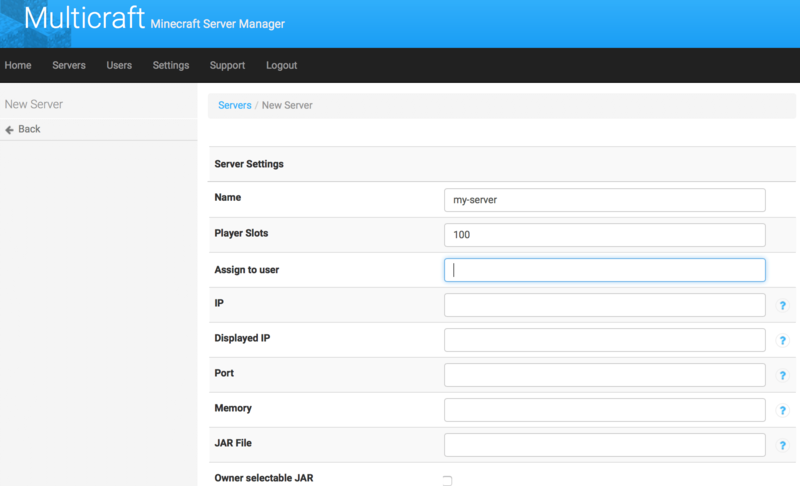 The main purpose of Multicraft is to manage multiple Minecraft servers. The free version of Multicraft allows you to have one server with 10 players. By default, Multicraft does not include the Minecraft or CraftBukkit server file, but it includes a tool to download them, as described below. Select the “Settings -> Update Minecraft” menu item. In the “File” field on the resulting page, select your preferred Minecraft server. 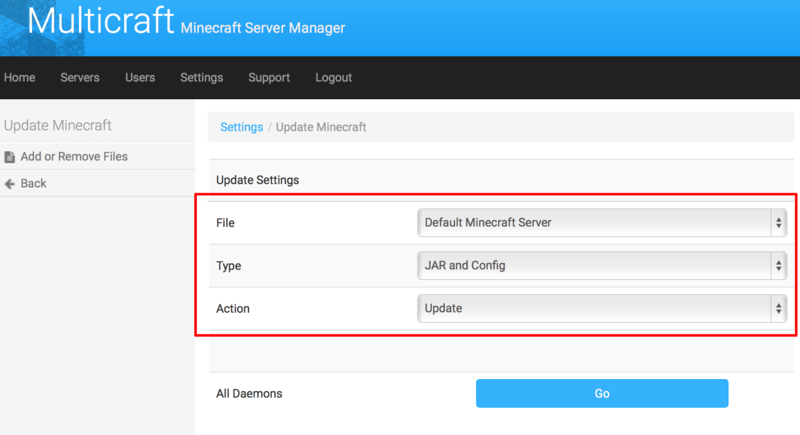 By default, “Default Minecraft Server” is selected, which is the same multiplayer server file you can download from Mojang’s Minecraft website. Set the “Type” field to “JAR and Config” and the “Action” field to “Update”. Click the “Go” button, and wait until the process finishes. 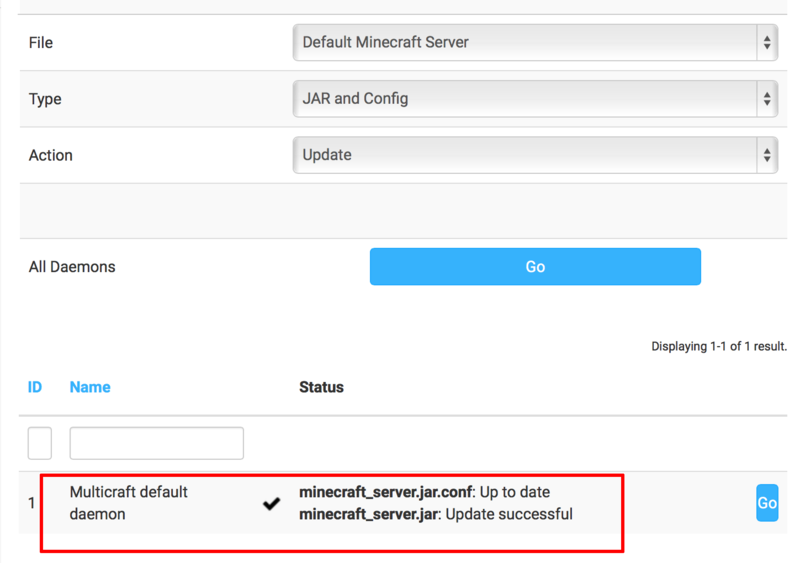 You should see something like “minecraft_server.jar: Update successful” or “minecraft_server.jar: Up to date”. Select the “Servers -> Create Server” menu item. Enter the server details. If no port is specified, a default port value will be selected starting from the first available port at 25565. You will now be redirected to the Minecraft server’s configuration page. The port and IP should now be assigned if they weren’t in the previous step. Ensure that the specified port is open and accessible in your firewall, network or your cloud provider’s network configuration. In the “JAR File” field of the server configuration page, select the file downloaded previously. Modify other configuration options if needed. Then, click the “Save” button. 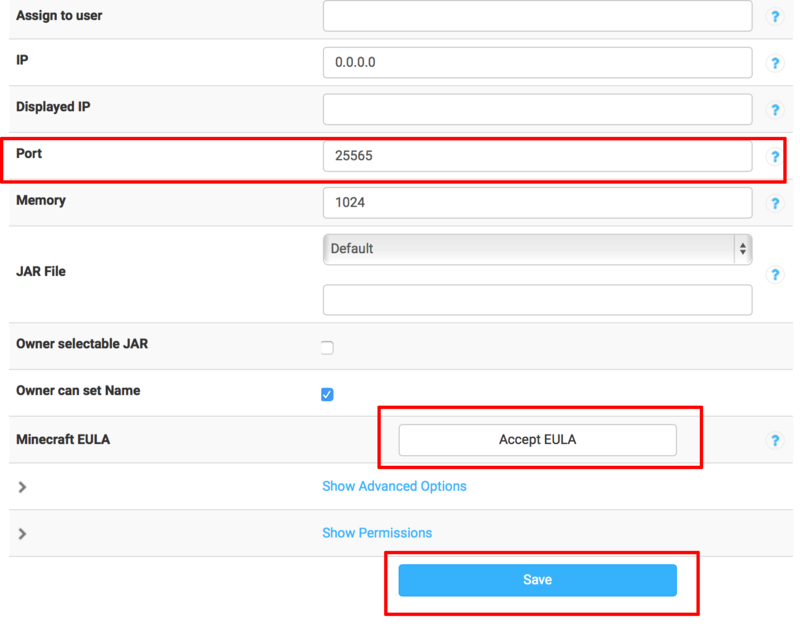 If necessary, click the “Accept EULA” button to accept Multicraft’s End-User License Agreement. Click the “Start” button to start the server. Your server will now start and its status will change to “Online”.